“Hump daaaaaaaaay!” I have that Geico commercial stuck in my head as I’m writing this post. You know the one with the camel that’s in the office asking people what day it is? It’s literally my fav and I’m so happy Geico brought it back. Not sure what this says about me that I’m so easily entertained by this commercial - LOL! “Mike, mike mike..” If you haven’t seen this commercial, please watch it here. Anywayssss, one trend that is here to stay is leopard print. It’s been a huge staple this winter and surely wont be disappearing anytime soon! 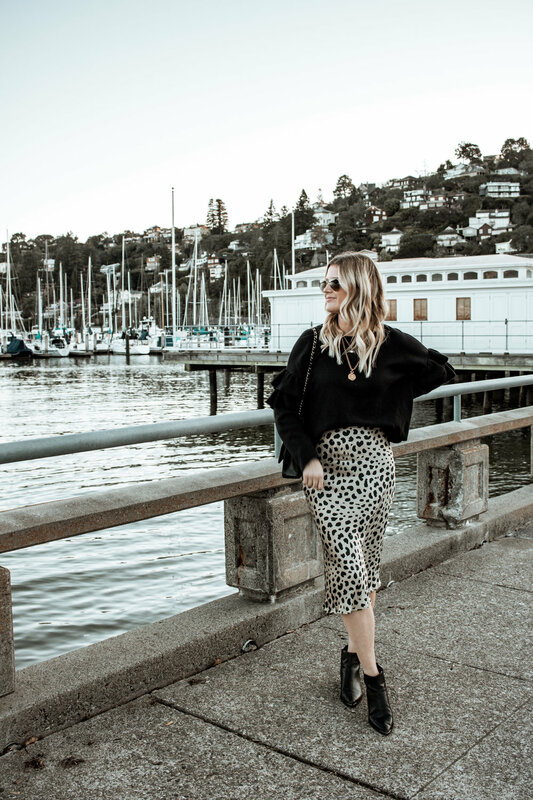 I already own a silk leopard tank and sweater and decided to add this adorable leopard skirt into the mix! 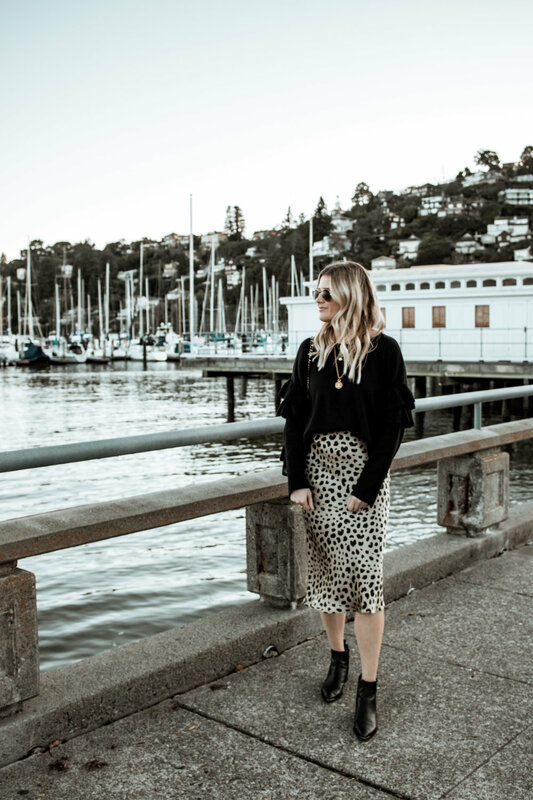 I love the length of the skirt as it’s appropriate for work but the style doesn’t make it feel too “matronly” so can be styled from work to play! 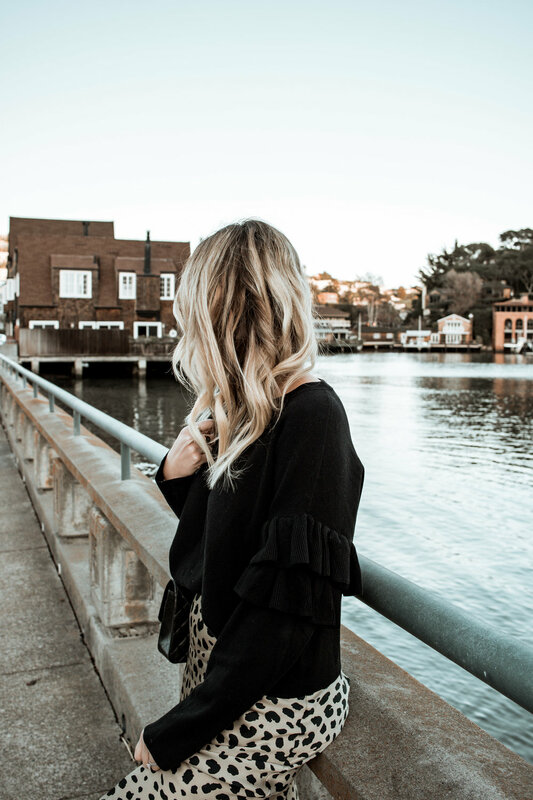 For this post, I paired it with a ruffled sweater for a more casual and laid back outfit, but this skirt would be so cute styled with a camisole and heels to dress it up or even a graphic t-shirt for an edgier look. It’s a slip skirt (meaning no zipper/buttons) so I would recommend sizing up if you’re in between sizes. I took a medium in this as I didn’t want it to be snug, especially across the stomach area as that wouldn’t be flattering! 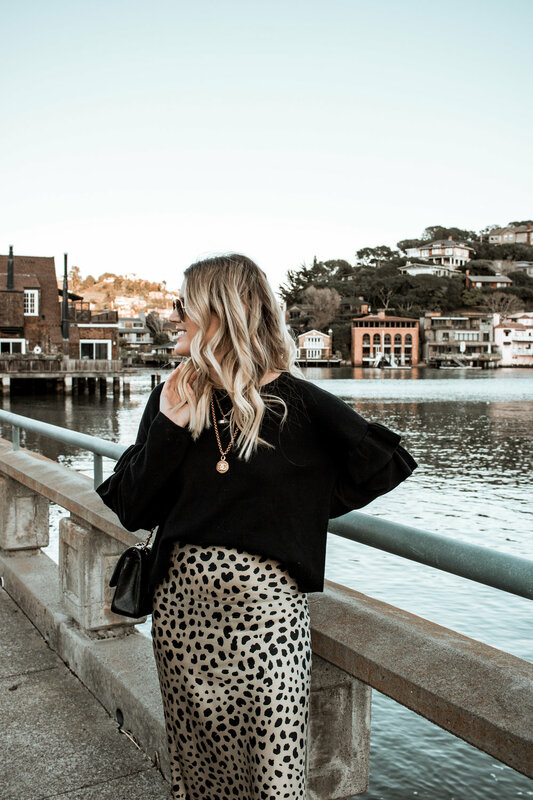 I’m linking my full outfit below, along with some of my other favorite leopard print items!